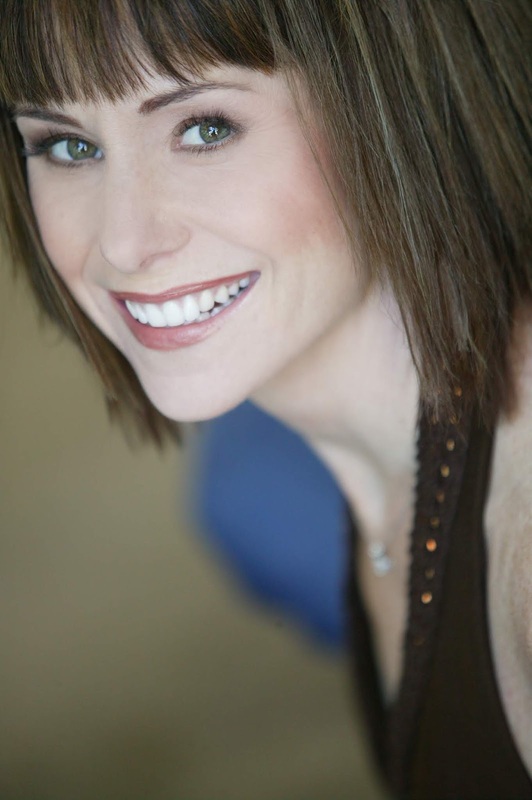 Triple threat performer Susan Egan is no stranger to theatre audiences. She originated Belle in Beauty and the Beast on Broadway and is now reviving it 20 years later for 5 Star Theatricals. She took time out of her busy rehearsal schedule to discuss the role and explain why it means so very much to her and her career. How do you feel playing this role again? It's such a wonderful surprise having the chance to play this role again. It's funny - it honestly feels like I've come full circle - playing 'Belle' all those years ago - breaking that princess image with roles like 'Sally Bowles' in Cabaret - and now coming back to where it all began for me. I think I had to travel far from this in order to have a better perspective of it. I'm wiser now and get to bring that into the character. But I did wonder - and worried - it might feel odd, but it doesn't at all. It feels like the most natural thing in the world!!! This character has been hibernating, but woke right back up in me, and playing her feels like the most comfortable pair of jeans you've ever worn! Is it your favorite role? If not, what is? When I worked with director Sam Mendes in Cabaret, he said to me that every actor seems to have the perfect role at the perfect time in their lives: there is always something in the actor's life that can uniquely inform that character, AND there is always something in the character's story that can teach the actor something about their life. I've always found that to be true, so my honest answer is, my favorite role is whatever I'm playing at the moment! I try to mine each character and discover as much as I can, and that's still the case. Even after almost 800 performances as 'Belle,' there is more to learn and I'm loving that process! Talk a bit about your costars and your director. Are any familiar to you or is it a completely different cast this time around? Almost everyone in this cast is new to me and I'm LOVING it!! Listen, I was spoiled in the original cast, working with the best actors in the world in each and every role. I was nervous doing another production, and honestly, THAT is what has kept me from doing the role again! BUT Yvette Lawrence Bishop is directing, and for me that was the reason to have faith and say, "yes." She and I were the only two actresses to play 'Belle' in the Los Angeles company of Beauty, so I knew I'd be in wonderful hands. Well, she has outdone herself in casting!!!! I am THRILLED with this company - from Beast and Gaston to every enchanted object and my papa, Maurice - any one of these actors could have (and should have!) played these roles in New York! They are marvelous, as is our extraordinary ensemble; and the nuances Yvette is bringing in her direction are truly magical. These rehearsals feel exactly as they did all those years ago! Tell us about the changes at Cabrillo. Is Patrick Cassidy taking an active part in this production? I have never worked at 5 Star Theatricals before - other than a one-night concert last February - but already this has been a lovely experience. It was a bonus that Patrick Cassidy stepped in; he and I have been pals for too many years to count, and it's wonderful having him support this show!!! The experience at 5 Star is truly the best of both worlds: absolute professionalism mixed with the warmth and humor of community theatre. The result for audiences, is that this production will have all the spectacle and pizazz to rival any Broadway tour, and the heart that emanates from a company who truly loves what they do. It's a perfect combination for this show in particular! What is your favorite musical of all time? Why? I cannot narrow it down! I love shows that are jewels for what they are - whether a large cast with lots of special effects, or an intimate two-person show that melts your heart. I do happen to have one daughter who is Hamilton obsessed, and so I've loved sharing that show (and it's brilliance) with her. Who is your favorite composer? Why? Again, I appreciate the writers who excel in their genre and particularly those who move the medium forward - Lin Manual Miranda, Pasek and Paul - I love where musical theatre has been heading. I've also been lucky enough to become close with so many writers, and I love and am grateful for them all from Alan Menken to Jason Robert Brown. As an actress, I take something from the page and hopefully bring it to life, but the writers .... they bring something into existence from thin air. I'm dazzled and inspired by that! Only very, very lucky people get to meet their heroes, and it's nearly impossible for those icons live up to the expectation - but Carol Burnett surpassed every hope and dream I could have had. I went to UCLA and won a Carol Burnett scholarship, so to have the chance to work with her (as the only two women in the show!) was beyond anything I could have hoped for. And then, to learn first-hand how warm, gracious, generous, and hilarious she could be .... sigh. She's brilliant, yes, but she's also a cheerleader who celebrates if YOU get the laugh. She's there if you've had a bad day; she congratulates you on a success... I hope I can be a fraction of Carol. As for John Barrowman ....bring it on! He is just about the craziest, most-wonderful person to work alongside - a practical joker and a light. Anything you care to add about this new production of Beauty? I seldom take jobs these days that don't have some obvious, strategic reason for doing them - otherwise I'd rather be with my kids! This job I took on a lark, not sure where it would lead - nervous how it might look to the industry - but trusting that it was meant to be. The timing is funny, because I just started a partnership with Broadway's Cinderella Laura Osnes and musical director, Benjamin Rauhala, producing our Broadway Princess Party concerts across the country and beyond. I had thought my princess years were behind me, but because of Laura and Benji the door opened again in my heart, then 5 Star called and offered me this job. At first I laughed and politely said, "no thank you." I mean it's been 20 years! But I was sitting with my pal, Bambi at lunch and she said "you could totally still do it." I laughed it off, but called Benji in New York and he said, "Do it!" I talked with my husband (who didn't know me yet when I was playing 'Belle' the first time) and his eyes lit up; and my daughters (age 8 and 11) told me to go for it. So I took a leap of faith .... but still not quite sure why. I mean, I had thought I might have an opportunity to share with this cast and crew a bit of how the show originally came together, maybe help bridge the community theatre world and the professional world for them. How silly I was!!! (Oh, the hubris, Susan!) Yvette is currently staging the prologue of the production - her own, new vision of the prologue. It's magical. She's creating - channeling the spirit of our production from years ago, but taking it to the next level, and the dedication of this cast and crew is marvelous to watch. I love it. THAT'S the reason I'm here. I see it now. To be surrounded by a group of people who love this, and then share that love with audiences. Like the show itself, it's all about love.